of grieving, a year of darkness. Now, there’s one man who can show her the light. holds the key to a secret that could ruin both of their hopes and dreams. Isabel has had one seriously rough and rocky past. She lost her father and her fiancé all at the same time. While her father passed away her jerkoff of a fiance decided to leave her high and dry. 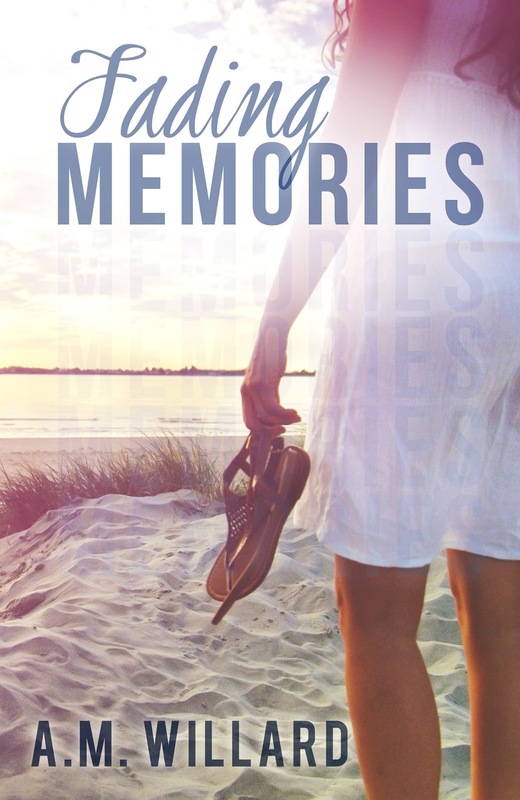 Now Izzy finds herself back at the beach house where she grew up, a place she loved, feels at home. Thank god this girl has her best friends near her because Izzy is seriously lost. Dakota is Izzy’s neighbor down the beach. He is immediately attracted to Isabel but she is stubborn and does her best to continually push him away but our boy Dakota isn’t giving up so easily. With a little help from her friends (who have become Dakota’s too) she finally starts to let him in, but just when she finally feels like she can live and love again a bomb is dropped. Once the secret comes out, can she move past it? 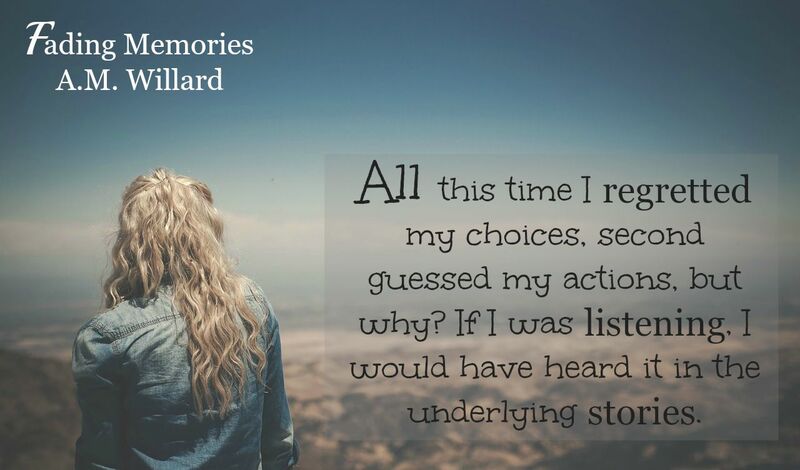 Can Dakota move past the real reason he is living on the same beach, can he let go of the past? I enjoyed this story. The characters are likeable and Isabel’s friends had me cracking up, one could only wish to have friends like she has that support her in every way. Once Izzy let go I felt like I could like her a little more, she was downright nasty in the beginning of the story to Dakota but it was part of the story because of what she experienced in the past year. Dakota is just a swoony alpha male and I really loved his character. You will find yourself laughing and you’ll find yourself in tears with this one. 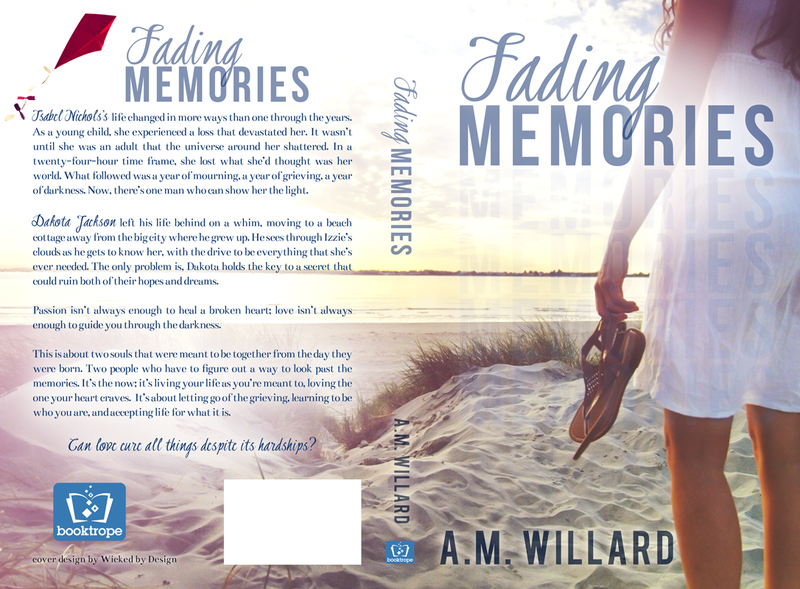 4 Stars for Fading Memories! In a flash, I’m lifted from the floor and placed onto the counter. Dakota raised me like it was nothing, and is now looking around for the broom and dustpan. “Pantry,” I say and point to the door. “I’m sorry for startling you; I didn’t mean to scare you. Are you always this jumpy?” he asks as he stops what he’s doing to glance at me. in my kitchen that I don’t know is behind me, I tend to be a little jumpy,” I say with a hint of sarcasm. “I’m not a stranger, you know. April 12, 2014 has sent her on a new journey in life. A.M.’s passion for writing started at a young age, but with the love and support from her husband of eighteen years pushed her to follow her dreams. Once she hit that first publish button, she hasn’t looked back. Series, Love on the Screen, and everyone’s favorite, the One Night Series. She’s also had an article published in the Writer’s Monthly Review Magazine and was just accepted into the Romance Writers of America organization in May of 2015. 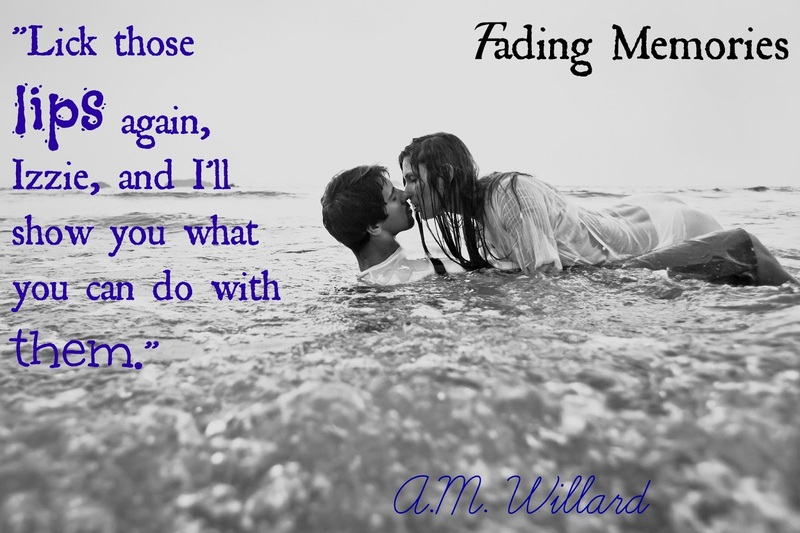 This entry was posted in Blog Tours/Promos, Reviews and tagged A.M. Willard, Blog Tour, Dakota, Fading Memories, Isabel, Review by Book Lovers Obsession. Bookmark the permalink.